10 years ago, Big Teeth Productions opened their doors for business, and there’s been no going back for this husband and wife owned company. We were fortunate enough to receive an invitation to their anniversary party, and what a party it was! This production company specializes in marketing and branding films and video, and also has the ability to help people break into the social media frenzy and navigate within it. Gregg and Elise, the owners of Big Teeth Productions, greeted us. There was a fury of activity throughout their awesome studios; food stations of delicious hot and cold finger foods, HUGE gourmet cupcakes made by Foiled, artists drawing caricatures, and even a paparazzi wall where everyone could get their pictures taken just like a VIP. Big Teeth Productions studios are awesome. This is a lofted space, with tons of equipment and really cool pieces of art throughout. 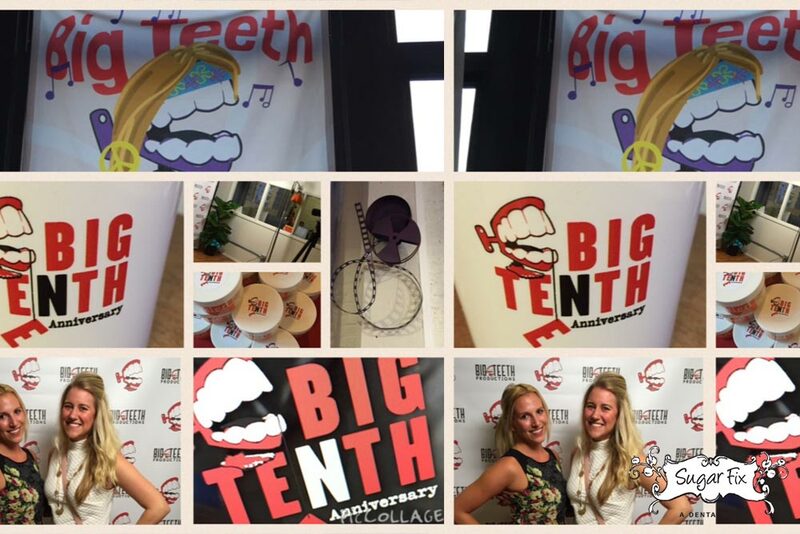 Thank you so much, Big Teeth Productions, for inviting Team Sugar Fix to your awesome 10th anniversary party. Big Teeth Productions is located at 4001 N. Ravenswood Ave. #301. They can be reached at (773) 588-5997.